Did you know that chronic constipation can affect 2% to 27% of the world’s population (1)? Now, that’s a big number! An upset digestive system can lead to several other complications. While there are ways and methods to treat digestive issues, using a potent digestive enzyme can help. This is where Unienzyme comes into the picture. What Is Unienzyme Composed Of? Fungal diastase, which aids the breakdown of carbohydrates and prevents the malabsorption of food. Papain, which is an enzyme extracted from papaya that breaks down proteins in the stomach and aids digestion. Activated charcoal, which binds with the unwanted substances in the stomach and helps in their excretion. All three constituents work together to help treat a host of digestive issues. Let’s look at them in detail. The papain in Unienzyme can help here. As per a 2013 study, a papaya preparation called Caricol (which predominantly contains papain) can improve symptoms of constipation and bloating – more so in people with severe gastrointestinal dysfunction (2). The efficacy of activated charcoal has been widely studied. In a study, activated charcoal had reduced the symptoms of stomach gas and abdominal cramps (3). In yet another study, orally administered activated charcoal, after a gas-producing meal, had increased the hydrogen concentrations in the breath (4). This way, it can reduce stomach gas and associated symptoms. Some sources suggest that the activated charcoal in Unienzyme can soak up the excess acid in your stomach, thereby offering relief from acid reflux and acidity. But since more research is being done to verify the efficacy, we suggest you speak to your doctor in this regard. 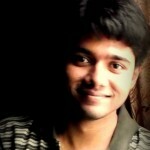 This can be attributed to the binding properties of the activated charcoal in Unienzyme. The compound binds to the toxins and helps flush them out. This may alleviate stomach pain in some cases. Activated charcoal can treat diarrhea too. A Canadian study stated that activated charcoal could be used as a potential treatment for diarrhea. Interestingly, activated charcoal causes fewer side effects than conventional diarrhea treatments (5). Unienzyme is one of the popular digestive enzyme medications available today and is primarily used for boosting digestive health. But then, like any medication, it may have some side effects. 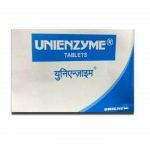 What Are The Side Effects Of Unienzyme? Constipation and acid reflux don’t have to be a problem anymore! With Unienzyme, you can soon get on the road to recovery. But make sure you consult your doctor. What drugs can Unienzyme interact with? Acarbose and Miglitol are a couple of drugs Unienzyme can interact with. If you are on any medication, please inform your doctor before you start taking Unienzyme. How can you take Unienzyme? You can take one tablet twice a day, before food. But since the dosage and frequency can change from person to person, please consult your doctor for the right dosage. Can you take Unienzyme during pregnancy or breastfeeding? Though it is generally safe, it may cause some side effects if taken during pregnancy or breastfeeding. Hence, please consult your doctor. “Epidemiology and burden of chronic constipation” Canadian Journal of Gastroenterology, US National Library of Medicine. “Papaya preparation in digestive disorders” Neuro Endocrinology Letters, US National Library of Medicine. “Efficacy of activated charcoal in reducing…” The American Journal of Gastroenterology, US National Library of Medicine. “Effects of orally administered activated charcoal…” The American Journal of Gastroenterology, US National Library of Medicine. “Is there a role for charcoal in…” Current Medical Research and Opinion, US National Library of Medicine.